Suitable for a wide range of applications, from fit-up and assembly requirements to integrated cladding and overlay applications in Dubai and the UAE. Welding turntables are built to a heavy duty precision design. They are suitable for a wide range of applications, from fit-up and assembly requirements to integrated cladding and overlay applications. Fully guaranteed and warrantied for three years. Available worldwide through our network of distributors across Europe and the Middle East. 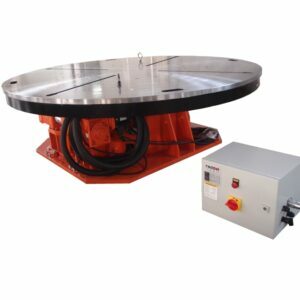 Welding turntables are a must-have piece of welding equipment for any fabrication environment. Without a turntable, workers need to move around the workpiece, maintaining a consistent arc length to get an air tight weld. Even the most skilled worker will have difficulty doing this on high volume jobs. 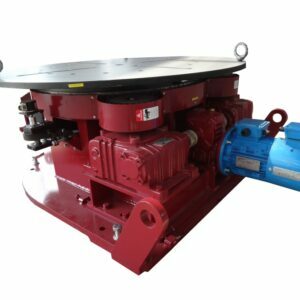 Rotary turntables are the most cost-efficient method to increase output with high precision by rotating vessels, tubular piping or any industrial workpiece around on a vertical axis. Ergonomics are vastly improved for welders when a turntable is in use as workers don’t need to move around the workpiece. An added advantage is workers can weld with increased focus and concentration, resulting in a far smoother weld, instead of concentrating on moving and maintaining the arc length. An increase in focus and concentration leads to higher quality work and in less time. Welders will get the job done right the first time around instead of remeasuring, and mechanically reworking to get a quality finish. Less absenteeism & sick days equals less setbacks on projects and no need to hire temporary, less experienced or even less skilled workers to keep your projects moving along smoothly. Easy clean surface means your workers can spend more time producing superior welds and less time cleaning equipment. 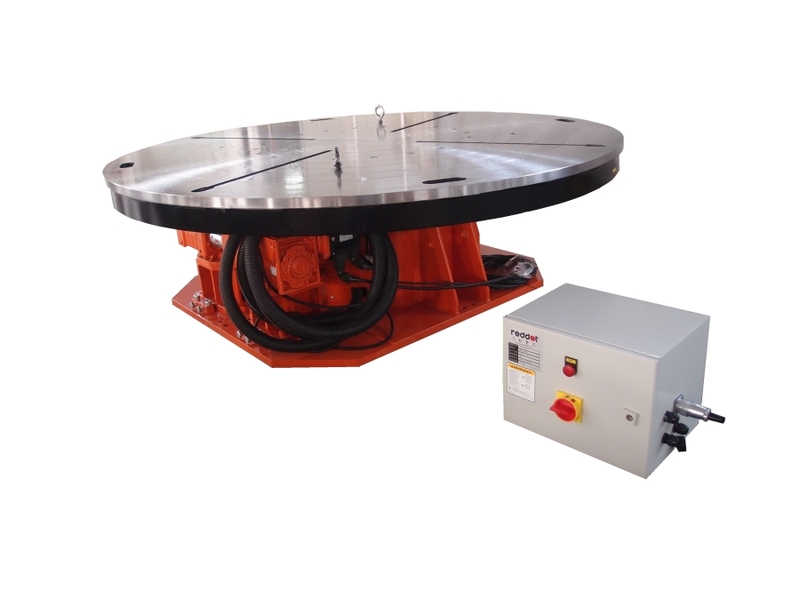 Load capacities from 5 tonne horizontal welding turntables to 100 tonne turntables. All supplied with a low voltage remote control pendant with various customisation options available, ensuring you get a turntable suited to your exact requirements. Redrock turntables offer easy alignment, are easy to clean and easy to maintain. Your workers will be able to spend more time welding with less fatigue. Less downtime is the guaranteed way to boost the profits on all jobs. We have experienced and knowledgeable in house engineers to advise on the best solutions for your requirements. We can help you size up the right turntable to help you improve the speed of production and bring your costs down. We are industry leaders in supplying welding automation solutions to numerous sectors across the globe.